This is a general list of deductible business expenses according to the CRA (Canada Revenue Agency) for Canadian small businesses. Click on the linked business expense in the list to be taken to pages with more information about using that particular business expense as a tax deduction on your Canadian income tax. Note: This list is not all-inclusive. If the item you're thinking of deducting as a business expense isn’t on this list, that doesn't mean it’s not a legitimate business expense in Canada. The Canada Revenue Agency (CRA) defines a deductible business expense as “any reasonable current expense you paid or will have to pay to earn business income”. In order to deduct expenses, your business must have a "reasonable expectation of profit", according to the CRA. You cannot deduct business expenses for an indefinite period of time without your business eventually becoming profitable. 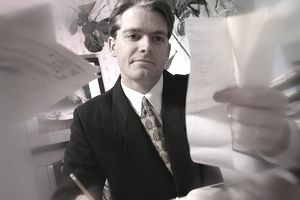 Make sure you retain all receipts for claimed business expenses - if you are audited or otherwise asked to provide receipts to support your claims and you cannot provide them your claims will likely be disallowed. And make sure that you keep your receipts for the proper length of time (for six years in Canada). While you won't be sending them in when you file your income tax online, the CRA can demand to see them at any time. Salaries of employees – including salaries of family members (employing family members is an excellent way to save on taxes by income splitting). Note that you cannot pay family members a salary over and above what you would pay someone else to do the job. Note that if you are operating a home-based business you must separate the business portion of expenses from personal expenses. For instance, you cannot deduct all of the mortgage payment on your home or your entire electricity bill. You can only deduct a portion based on the percentage of your home used for business purposes. As always, check with your accountant or with the Canada Revenue Agency if you’re in doubt about the tax deduction potential of a particular business expense. Being overly aggressive when deducting expenses is a sure way to attract the attention of the CRA. This is particularly true for sole proprietorships and construction and food services businesses (See 10 Red Flags That Will Get Your Canadian Small Business Audited).